Does this Detroit muralist have legal rights to protect her piece? A Detroit artist is suing to protect her nine-story mural, which has become a landmark in the city's north end. If you've driven by it, you probably remember Katherine Craig's massive, technicolor piece called The Illuminated Mural. 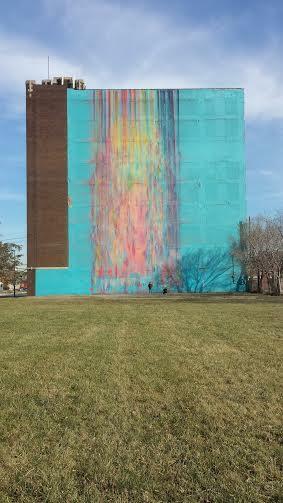 Created in 2009 with nearly 100 gallons of paint, it kind of looks like bleeding rainbow, covering a massive wall at 2937 East Grand Boulevard. Governor Rick Snyder signed legislation Monday that will make sweeping changes to the state’s public defense system. Snyder says the new law is a big step toward making sure fewer indigent criminal defendants are wrongfully convicted. It will create a commission to set statewide standards for public defense. The group will also monitor counties to make sure each one is meeting those standards. 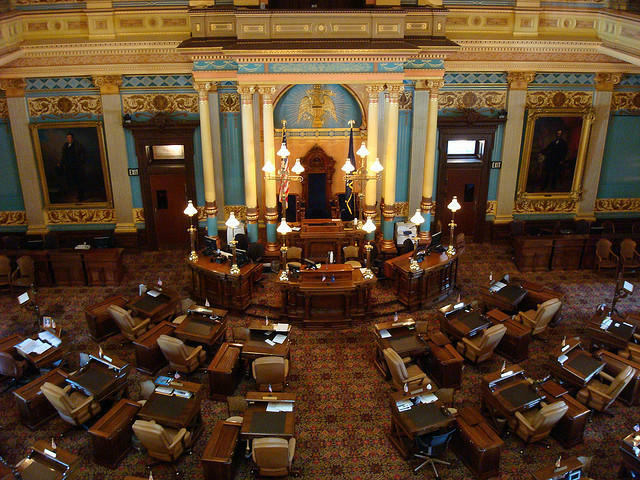 The bills passed the state House and Senate last month with bi-partisan support. A set of bills passed by the state Senate today, the anniversary of 9/11, lays the groundwork for establishing a system of veterans' courts. A former Dow research scientist was sentenced to five years in federal prison for selling Dow's trade secrets to companies in China. Frank Holthaus, attorney for Liu, asked Brady to go below sentencing guidelines and place Liu on probation. Holthaus also disputed Dow’s estimate that Liu caused the firm to lose more than $250 million. A second hearing will be held to determine how much restitution will be paid to Dow. The Genesee County Bar Association is sponsoring a free seminar on how to avoid foreclosure. It’s one of many free seminars the bar association will offer this winter. Tatilia Burroughs is executive director of the association. She says they’ve gotten feedback from the public about what topics people would like addressed. She says they include child support, custody, consumer issues, debt collection, and issues having to do with small claims court. The foreclosure seminar is Thursday, November 18th. It will be at the Flint Public Library.